American Bullion is proud to have been featured in the latest issue of American Hard Assets magazine with an informational article on precious metal IRAs. 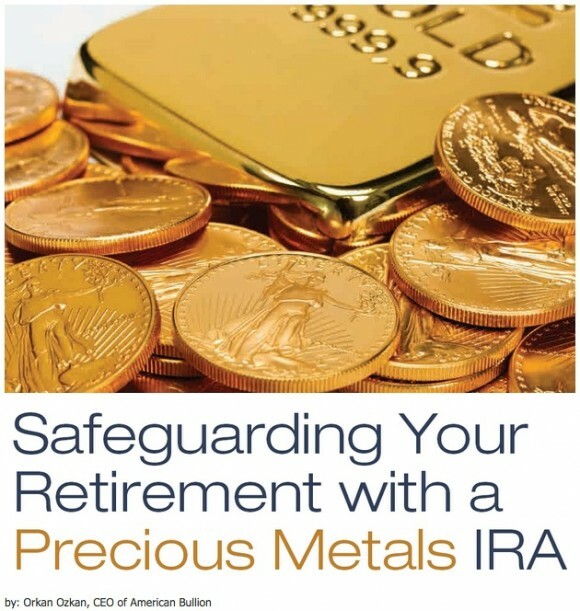 The article, titled Safeguarding Your Retirement With a Precious Metals IRA, contains information on the history, process, requirements, and benefits of opening a precious metals IRA (commonly referred to as a “Gold IRA“). You can read the full article here! If you are interested in adding physical gold or other precious metals to your retirement portfolio, call American Bullion at 1-800-326-9598 today to speak with a specialist.